This man says he'll die if Obamacare is repealed | Circa News - Learn. Think. Do. WATCH | Greg Silverman, a resident of Canal Winchester, Ohio, is one of the 20 million Americans receiving healthcare through the Affordable Care Act (Obamacare). But Donald Trump's vow to "repeal and replace" ACA has Greg feeling on the edge. That's because he says he'll die without it. Silverman is diagnosed with a rare disease called Hyponatremia. "Basically it means my body does not absorb salt. It expels all of the sodium that I do intake," Greg says. In order to treat it, he has to take an expensive Japanese drug called Samsca -- one that foots a $15,000 price tag for 30 pills. That's a $180,000 bill for a full year's prescription on the drug. It's kind of like every month when I open my pills, I feel like a man that might be on death row. Counting the days until he dies. 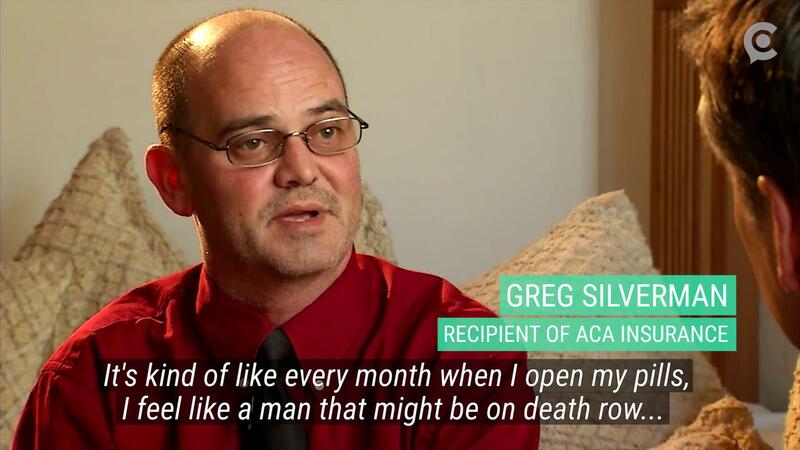 As news increases on Donald Trump's plan to repeal and replace Obamacare, Greg has been one of the many American citizens waiting on the periphery. Neither President Elect Donald Trump or his nominee pick for Health and Human Services Secretary, Tom Price, have given a detailed plan on the administration's proposal to change the Affordable Care Act. In the meantime, Greg has devised business plans including a possible kickstarter campaign to raise funds for his medication. WSYX/WTTE contributed to this report.